Good things are happening at Potter Roemer! We are proud to announce our newest products: Series 5020 2-Way Clapper Inlets and Series SVC-1306 Sprinkler Control Valve Cabinets! Series 5020 Inlets incorporate a stainless steel Siamese body with two 2-½” female NPT inlets by one 4” female NPT outlet. A polished brass plate comes standard with lettering as selected. The unit is FM approved and comes with polished brass 2-½” double female snoots with rigid end pin lug hose thread swivels, pin lug plugs and chains. 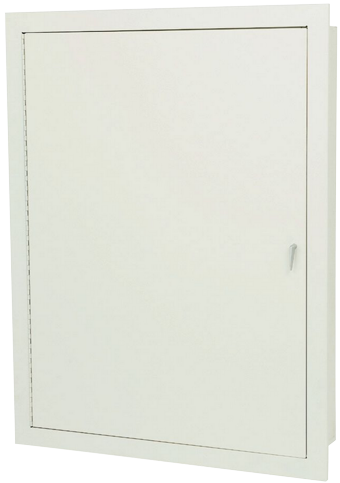 Series SVC-1306 Valve Cabinets are composed of a 20 gauge stainless steel box with a tubular steel door, 18 gauge frame and a continuous stainless steel hinge. All components are powder-coated with an electrostatically applied, thermally fused white polyester finish. 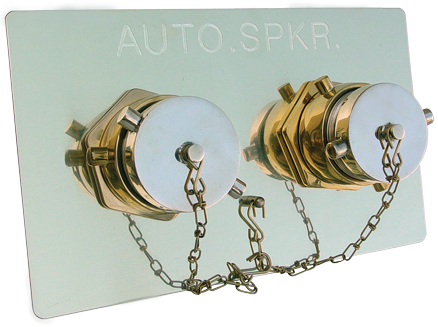 Wall mounting options and cabinet size are determined by application needs and model number.